& Protect Your Retirement today! Why Choose A Goldco® Self-Directed IRA? 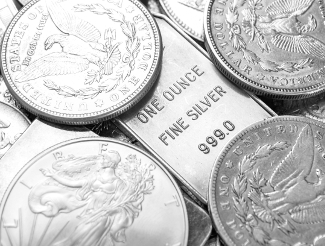 With a Goldco® Self-Directed IRA account, you can invest in gold just like stocks or bonds in a conventional IRA. You can roll over or transfer an existing retirement account and make allowable annual contributions. 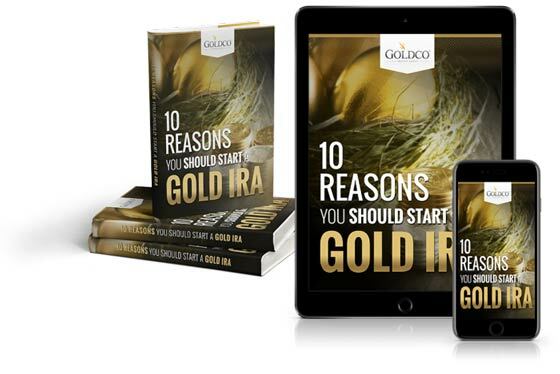 A Goldco® Self-Directed IRA is a potent and effective option to protect your IRA, 401(k), or other qualified retirement accounts from inflation and market volatility that can wreak havoc on your hard-earned retirement savings. 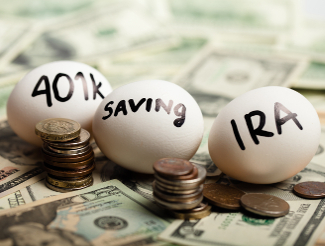 Ready to Diversify with an IRA Rollover? Learn more about rolling over your current retirement funds to a Goldco® Self-Directed IRA. Find out if your current retirement plan qualifies for a rollover or transfer, and how you can quickly and easily diversify your portfolio today. I can only say my experience was absolutely great. Everything was explained to me in detail to where I understood exactly what was going on with my investment from start to finish. The team at Goldco are extremely informative and answered any questions I had with no problems. I was updated on constantly and found that to be an asset to me to know what was going on at all times. I liked the convenience of being able to call with any questions no matter what it was, it was answered to my satisfaction. I was so impressed by the knowledge, courtesy, and, above all, professionalism shown by Blake Skadron and his colleague John Thomas. They fully answered every question I had. Doing business with these gentlemen was a real pleasure. I am a first time buyer, with absolutely no experience in buying precious metals. I wanted to diversify my 401K so I would have some insurance against my stock portfolio. The staff at Goldco made it a simple 1, 2, 3 process. The staff was courteous and responsive and most important, knowledgeable! Their service was prompt. I look forward to working with them in the future, should I decide to purchase more gold and silver or sell my existing investment. My experience with Goldco produced trust and confidence with my financial decisions from beginning dealing with Michael Mercuro, executive assistant to the end with Patricia Loya. The process was smooth, efficient and enjoyable. I felt held by senior executive David Taylor with his caring personality, patience and willingness to share his knowledge of metals to help guide me throughout. I am grateful and look forward to a continued business relationship with Goldco. Thank you! I have been reviewing my options dealing with my inherited IRA and heard of gold on the radio. After researching companies on the internet, I made the inquiry to Goldco. They were prompt but not pushy (I own my sales company with 10 employees). When I decided to make the move, the people here are first class in helping answer questions, setting up paperwork, and recommending the types of coins available with knowledgeable information backing their choices. Having diversified into precious metals has balanced my portfolio with my other traditional IRA investments. I just completed my second transaction with Goldco as part of a roll-over IRA. Once again, the process was handled very professionally. My account executive and his associates have been very patient, courteous and helpful. I highly recommend this company. Great, informative, and kind customer service. Would highly recommend to anyone interested in opening a Precious Metals IRA! !